Located at Mount Cotton, Sirromet is home to more than just premium wine. A family owned and run winery, just a short drive from Brisbane and the Gold Coast incorporates state of the art facilities, accommodation, dining, wine tastings and a year-round calendar of entertainment. In 2000, the cellar doors swung open to the public and is now recognised on the world stage, boasting over 900 awards for their exquisite selection of Granite Belt wines, which utilises traditional wine making methods along with new technology. 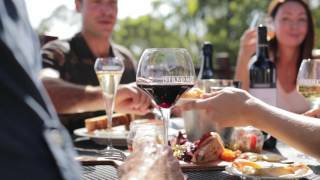 The finest quality of wines can be sampled directly from Sirromet’s Cellar Door or many enjoy a behind the scenes tour, giving you a fuller appreciation of the Granite Belt’s most famous drops. The same philosophy Sirromet have in pursuit of winemaking excellence extends to the onsite restaurants, where you’ll find the freshest local, regional produce prepared by Executive Mathew Fulford. Restaurant Lurleen’s offers the ultimate fine dining experience, with Tuscan Terrace offering a more relaxed alfresco food experience both the perfect place to delight your senses surrounded by the rolling hills of the well-manicured Sirromet grounds. With something onsite to suit the whole family, you’ll be truly amazed at what you discover at Sirromet.